When I answer questions on my site I am always telling people to backbutter their tile. It has recently been brought to my attention that normal people (the ones who don’t stand in showers all day) have no idea what that means. Backbuttering tile simply means spreading a flat layer of thinset onto the back of the tile before installing it on your wall or floor or whatever. First you have to ‘comb’ the thinset onto the substrate – that means it is spread with the notched side of the trowel leaving little ridges. It should look like that first photo there on the right with the ridges all combed in one direction. This allows any air to escape from beneath your tile more easily. One of the most frequent questions I get asked is ‘What size and type of trowel should I use for…?’ The proper answer to that is ‘whichever trowel gives you the proper coverage for your particular installation’. So there really isn’t one perfect answer to that question, a lot of factors are involved. But I’ll try to help you out. I know there are some people out there (not my regular readers like you!) that read what I write and think to themselves ‘okay, but I’m sure that won’t happen with my installation’. So periodically I’m gonna post things like this that show exactly what happens when things aren’t built correctly. And yes, it will happen to yours, too, if the proper steps aren’t taken. If you care to see more train wrecks you can check out my ‘flawed‘ page wherein I post photos of absolutely horrible tile installations which I’ve torn out and replaced. See that crack in the tile right there? 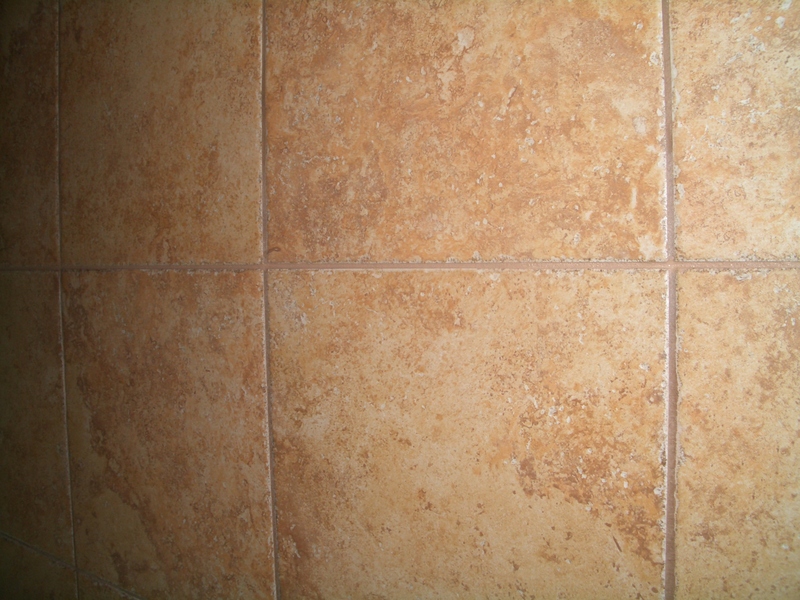 (The line down the center is not a grout line – it’s a crack. 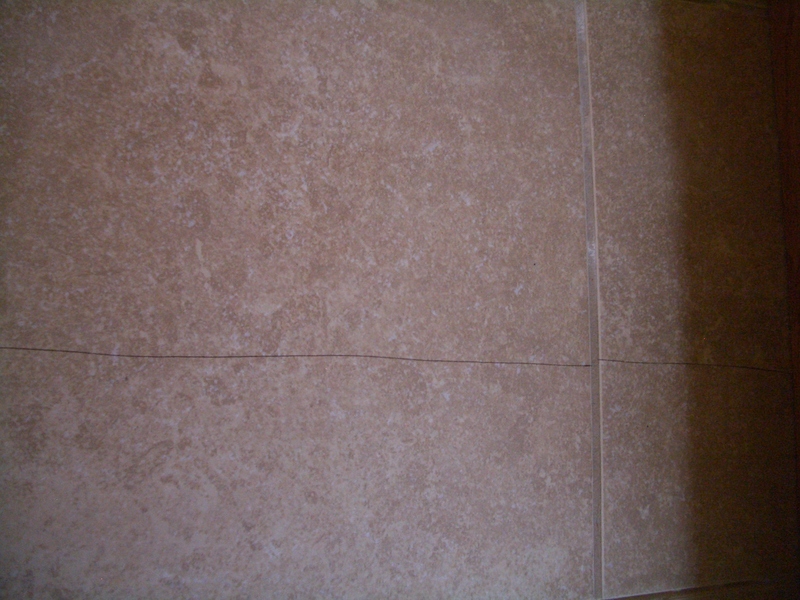 You can click on it for a larger version) That bathroom floor is less than eight months old. 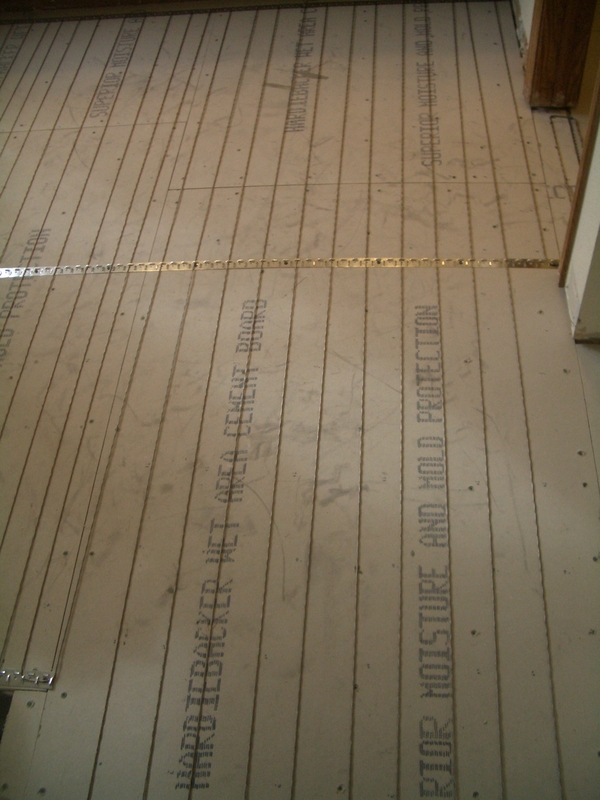 It was installed with hardibacker over the subfloor and thinset. At least that part is correct, but that was about it. There was no thinset beneath the hardi and the seams between the sheets were not taped and thinsetted. To a lesser extent the correct screws were not used in the hardi – they committed the cardinal sin of using drywall screws in the backerboard. Yeah. Wrong. The days of grabbing a three dollar bag of “thinset” and sticking floor tile right to the plywood in a bathroom are long gone (for professionals, anyway). 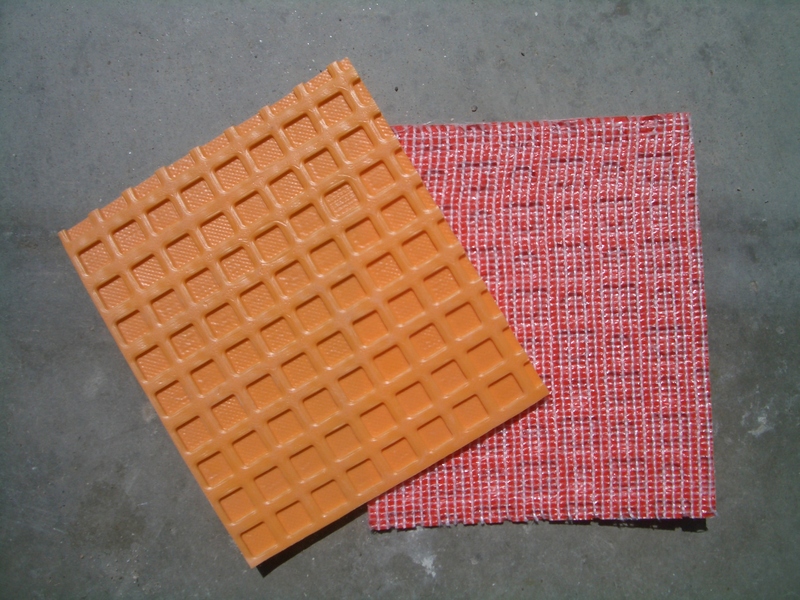 For a proper tile installation you need a proper substrate. One of the most readily available are cement backerboards. These include products such as Hardiebacker, Durock, Fiberboard, wonderboard and a host of others. 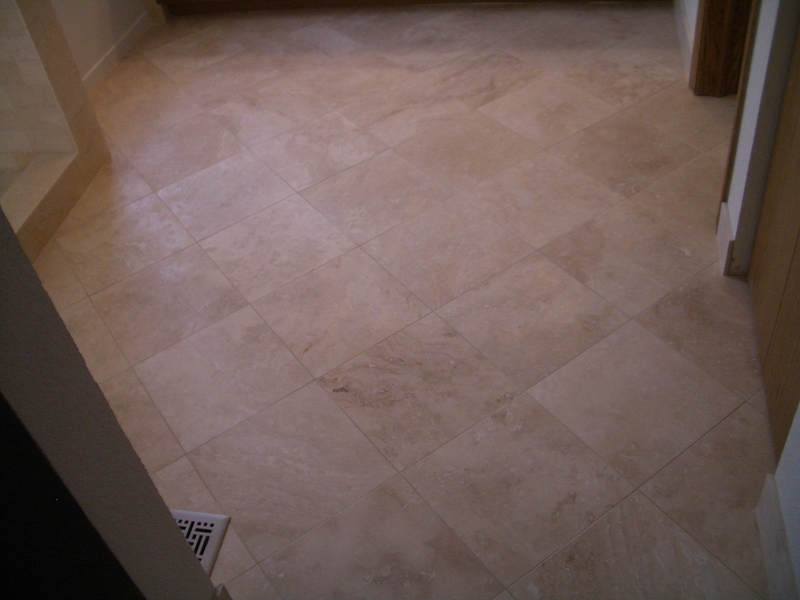 When properly installed on your floor it is an ideal tile substrate for a quality and lasting installation. Notice I said typed “properly installed”? Laying them down on the floor and shooting drywall screws through them does not constitute proper installation. Choose your weapon. I prefer Hardiebacker or Fiberboard. Whichever you choose make sure you get the proper thickness. With rare exception the 1/2″ variety would be the best choice simply because I like to overbuild stuff. With proper floor framing and deflection ratios, though, you can use 1/4″ to minimize height differences. This is not to say that 1/2″ adds significant sturdiness to your floor – it does not.